Dr. Benjamin T Po, Jr. graduated from Texas A&M University and received his Doctor of Dental Surgery Degree from the University of Texas Health Science Center at Houston in 1985. He practiced as a general dentist in Houston until 1991, and then in the United States Navy for 6 years as a military officer and general dentist to the armed forces. He completed 20 years of active and reserve military service and retired from the United States Air Force. He received his Post-Doctoral Certificate in Pediatric Dentistry after completing a two-year residency at St. Christopher's Hospital for Children in Philadelphia, Pennsylvania in 1999. He returned to the Houston area after completing his Pediatric Dental residency and worked as an associate with various pediatric dentists before opening his Katy practice in March 2005. Having over 30 years of extensive training and experience has made Dr. Po extremely proficient and knowledgeable in his specialty. He is also fluent in Spanish. 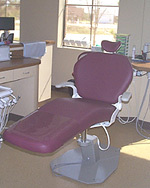 Dr. Po is an active member of the American Academy of Pediatric Dentistry. Dr. Po has also worked for the Public Health Service, providing much needed pediatric dental care for the American Indian Health Service in both Arizona and Alaska. His willingness to travel to remote regions where there are no pediatric dentists made him a vital team member in the dental care and treatment of native American children. Dr. Po also provides community service and education locally by offering dental health presentations for preschoolers and their caretakers, as well as school age children and school nurses. Dr. Po and his wife Taina reside in Fulshear and have two adult children, Kaitlyn and Ben III. Kaitlyn is serving as a registered nurse in the United State Air Force. Ben III is currently attending Mississippi State University studying large animal and dairy science. Taina is a registered nurse and has a Masters degree in emergency nursing. She works in the practice as the office manager and plays a vital role in monitoring patients who require non IV conscious sedation. Her years of experience as an educator and clinical specialist add extra value to the practice. In addition to helping teach children and their parents how to care for their child’s teeth, she is well prepared to handle any emergencies in the office. Dr. Po is an Eagle Scout (1973) and he charters three cub scout packs in the Katy area. He is also a member of various cattle and ranching organizations in Texas. He is the current president of the Texas Black Hereford Association.